Mylio is a feature-rich application that allows you to organize photos into catalogs and events. It has an attractive layout where you can select the folders where your photos are stored. Once the folders are loaded, they will be displayed in order based on the date they were taken. There is also a Search field that lets you look up specific photos. 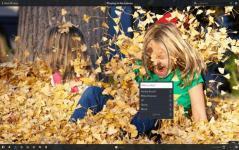 Besides organizing photos, Mylio also includes image editing features. You can use any of the built-in presets but also adjust several parameters such as contrast, saturation, shadows, clarity, exposure and so on. Finally, it’s possible to add locations and tag people, but also create Catalogs and Events.